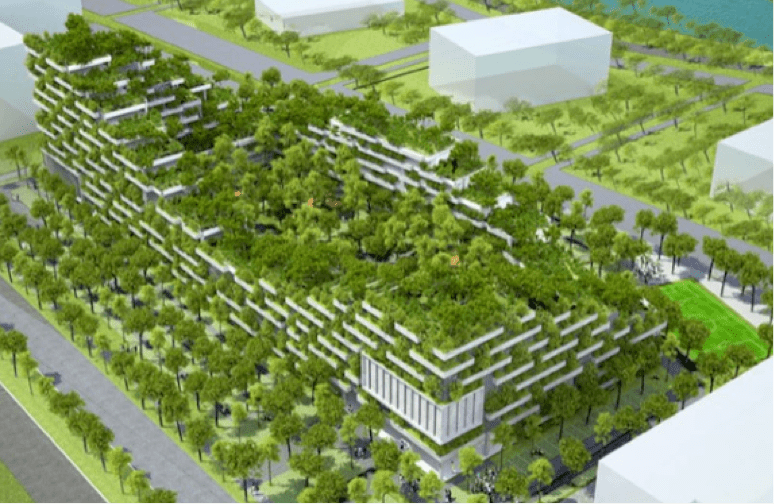 Architects in Vietnam design “Verdant” University. Architects in Vietnam have designed a “verdant” university campus in Ho Chi Minh City. Vo Trong Nghia Architects specialize in green architecture and were brought in to design a campus for FTP University. 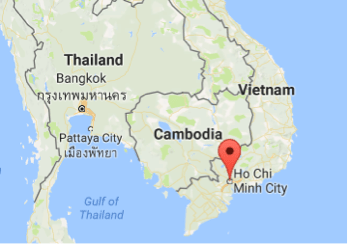 The people of Vietnam have been under environmental stress as they have witnessed energy shortages, a rise in temperatures, an increase in pollution, and problems with vegetation and greenery. The architects decided to make a contemporary design that is very sustainable and blends very well with the Asian culture. The university campus is a 242,000 square-foot site that explodes with plant life. The centerpiece is a unique building stretching over several city blocks, with staggered floors climbing higher in the corners, and framing a giant courtyard. Trees and gardens are planted in every turn on campus. 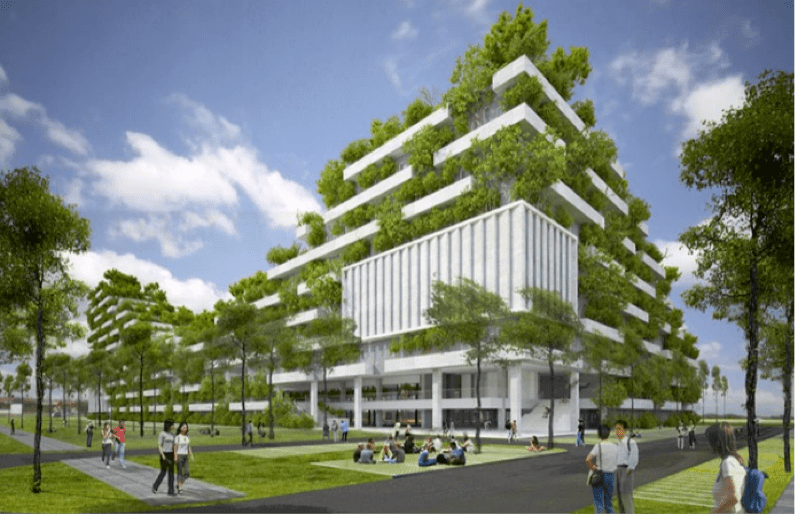 All of this, according to the architects, “will provide shade and improve air quality, reducing the universities’ reliance on air conditioning.” And to save water, ground level gardens will seep into circulation wells that feed plants throughout the building. 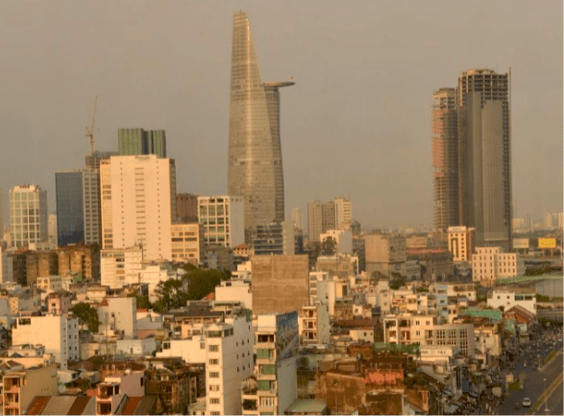 Rapid urbanization has turned Ho Chi Minh City into a heat island, which is when cities grow warmer than their rural surroundings because land, plants, and forests replace heat-trapping concrete, brick, steel, and asphalt. 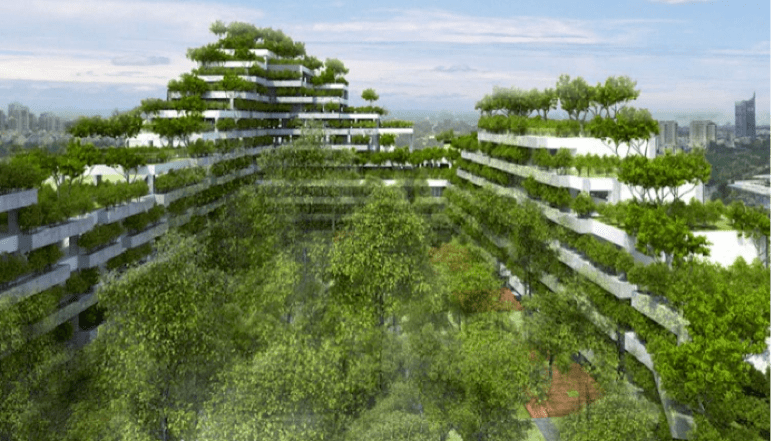 The architects believe only 0.25% of the Ho Chi Minh City is covered with plant life. They believe that while urbanization may be inevitable, turning our cities into ovens doesn’t have to be. The Vo Trong Nghia architects are thrilled in designing educational facilities. To them, it’s a chance to “aid the recovery of greenery that once flourished” and “foster a new generation of thinkers.” They believe that future enrollees of FPT University’s new campus, can be exposed to and learn to truly appreciate nature and bring hope to the future of Vietnam cities and planet. https://farmurbana.com/wp-content/uploads/2018/05/NEW-FU-LOGO.png 0 0 RuthMegh https://farmurbana.com/wp-content/uploads/2018/05/NEW-FU-LOGO.png RuthMegh2017-02-24 22:17:422017-02-24 22:17:42Architects in Vietnam design "Verdant" University. 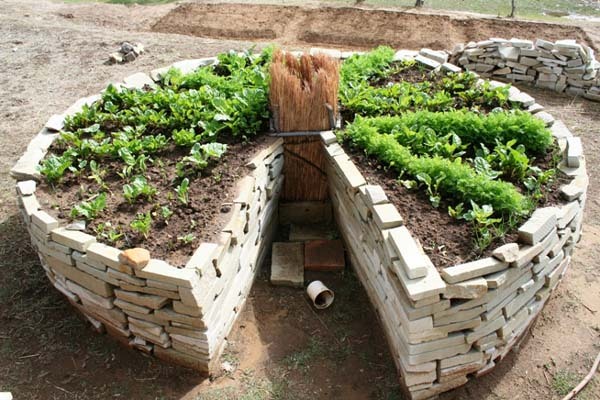 keyhole gardens are a representation of typical permaculture forms. The country of Lesotho in South Africa is using edible gardens to fight the HIV/AIDS epidemic. Lesotho is known to have a huge problem with HIV/AIDS infections. It is rated the third highest HIV prevalent country globally. The nation’s population is around two million, and almost a quarter of working-age adults are infected with HIV. Non-governmental organizations and international agencies have helped out Lesotho’s government fight the epidemic by providing resources to stop poverty, food insecurities, and medical emergencies such as Tuberculosis, which has one of the highest infection rates in the world. Lesotho is the first in the region to implement the World Health Organization’s 2015 guidelines on the provision of antiretroviral therapy.